Not sure what to do this weekend? Then spend £2.99, instantly load up the book onto any mobile, tablet or PC and get prepared to be truly shocked. This book is not about apportioning blame to any part of society or particular demographic of the electorate in Britain for its exit from the European Union. It does not attempt to cultivate a debate for a second referendum but seeks to answer a politically explosive question that has not been asked by the print or broadcast media; was Brexit both predetermined and then engineered as an outcome to the ultimate gain of global corporations? This book takes on the task of answering that question. It seeks to establish what really happened in the background, why it happened, who was involved and what is coming next with some extraordinary evidence through concrete research. From 167 pages, it only takes a day to read but when you’re finished, you’ll know a lot about Brexit that other people simply don’t know. So, if it’s a matter of opinion, then make yours matter. First up – some reviews from those that have read it. 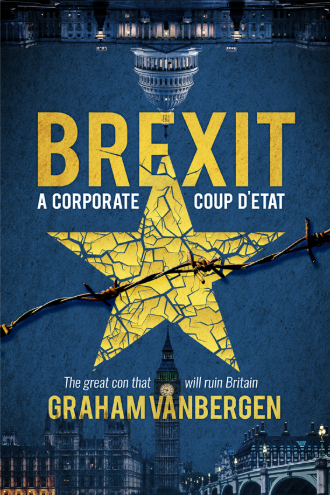 Real evidence of the horrendous fraud the Brexit really is (5 stars) – “This book gives access to the evidence of the biggest corruption scandal involving neo-liberal finance since Thatcher. There are detailed references to all the data they use. Shockingly accurate. (5 stars) – A worryingly accurate account of how our democracy has been undermined by the Neo-Liberal wishes of Billionaires and Millionaires. Ardent Leavers will dismiss it as Fake News while those who are more reasonable to fact will find this a good read. 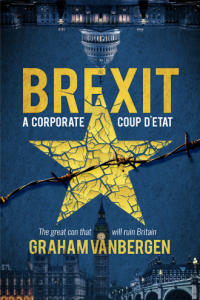 Compelling book with well-supported thesis (3 stars) – that Brexit was forged with money and behavioural manipulation rather than a true democratic expression. So what has been reported in this book that has since been reported by some of the mainstream media? And, of course, what has not? The book examines David Cameron’s so-called miscalculation, what was really behind that decision and what really went wrong. There’s evidence of political party’s uninterested in the good of the nation with only the power struggle for No10 in sight, who supported them and what happened in the background. Then, there’s the propaganda campaign, which was fought out in the shadows combining known military strategies forged around ideas from the last world war combined with new technologies unknown to the Electoral Commission. The BBC campaign comes into sharp focus as evidence emerges that far from taking the governments pro-Brexit stance, it was doing the opposite – all evidenced with some excellent research results that included ‘scraping’ the internet for the tiniest giveaway details. One chapter is dedicated to what Theresa May knew as Home Secretary with regards to immigration and the stunning revelations in multiple reports, deliberately held back, that could well have changed the course of the referendum result. One chapter tells of insider information provided about what parliamentarians decided not to read about when it came to the consequences of Brexit that has since started leaking. The illegal money and illegal campaigns are listed and detailed – and one by one, the police are homing in with the National Crime Agency close behind. It is here we see the power of corporations, how they spend millions usurping democracy without being exposed in the press. Social engineering and computational propaganda programmes are highlighted in shocking detail. It was a modern-day phenomenon that only goes to prove just how gullible we really are, without knowing it. Dark money and the involvement of intoxicating new state powers being handed to individuals walking the corridors of power is also highlighted – and the impact upon society this will soon have. Then there’s a chapter about what the British pollsters knew, what they did with that information and a huge scandal that got brushed under the carpet – unreported by the British press. The silencing of corporate leaders who objected to Brexit has interesting implications and just as interesting are the threats being dished out to them by senior politicians that the press are aware of but not publishing. Next comes the battle-ground that the corporations have all but won – deregulating Britain in a post-Brexit world and then the secret talks with one nation that will re-set Britain’s way of life forever. Decades of protective regulation and legislation is soon to be to ‘binned’ in secret purely as a result of this corporate highjack. The news of this is slowly emanating and will become apparent – if the media chooses to publish, which they may not do through political pressure – as the Brexit clock ticks down. Finally, there are documents that were truly mind-blowing, hidden from the public, what this all means and a look into the future for Britain as Brexit becomes a reality. Each chapter starts with a significant quote relating to what someone in power said and what then really happened. Nothing written in this book has been proven to be false, and yet, there are more revelations to hit the mainstream media as time goes by and Brexit day arrives when Britain enters its brave new world.